Paul Pogba has been on the receiving end of a lot of criticism lately, due to his averages performances for Manchester United. 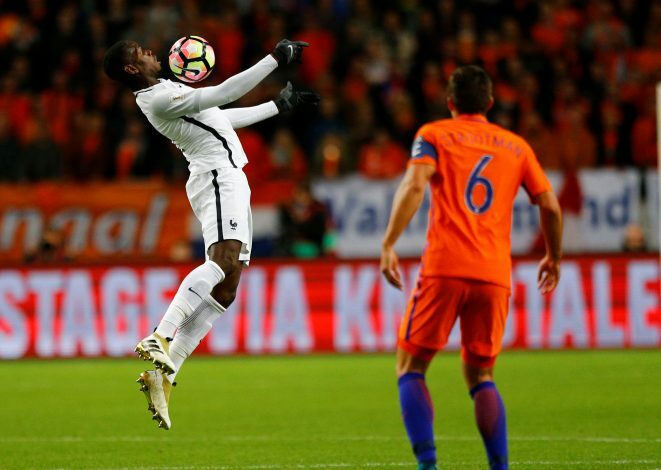 The Frenchman needed to step up and get back to top form – especially tonight, as his country France took on Holland in a high profile 2018 World Cup Qualifier. And the world’s most expensive player did just that, by hitting a belter from 30 yards to score the only goal of the game. The midfielder will now be looking to carry his form back to his club, as United prepare for a mouthwatering Premier League clash against Liverpool. OMG PAUL POGBA. Loads of pressure. Questions about his France place. And then a cracker of a goal. Pogba's scored a goal for France which means the £89 million Manchester United paid for him to go missing every week has been justified.